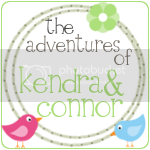 Kendra and Connor playing together at 9 months. Kendra had been crawling for about 6 weeks already. A few weeks later Connor started crawling and he hasn't stopped moving since.